During October all printers in the university will be replaced. The new printers will be installed in stages, and the process will be completed at the beginning of November. Linköping University has, together with 13 other Swedish institutions of higher education, carried out a procurement process for new printing services. 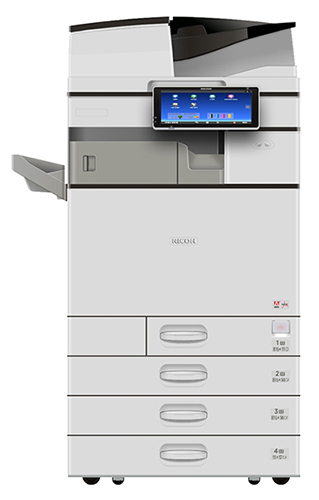 The contract has been awarded to RICOH, which offers a solution known as “eduPrint”. During October, all printers will be replaced. Go to the page for printing and copying. The convention by which the printers are named will change, and a printer name will be of the form EDP-LIU-V-3-234. The first letters stand for Eduprint, followed by University code, and the third letter represents each campus (Valla V, US U, Norrköping N, Lidingö C). The first number denotes the type of printer (1= compact, 2 = standard, 3 = high performance). The last three numbers identify an individual printer. This information will help the support personnel if an error report is filed for a particular printer. The user interface of all types of printers are the same. Will PrintAnywhere still be available? Yes, this will remain as before, but when the printers are replaced PrintAnywhere will change name to eduPrint-LiU. To be able to print using Payex you will have to sign in on https://portalliu.onricoh.se/ and register your use of PayEx for the new system EduPrint, which replaces PrintAnywhere. After signing in, choose PayEx autpay in the menu and enter your e-mail adress. Follow the instructions in the e-mail that is sent to you. Will PayEx still be available? Yes, PayEx will still be available. A new payment system, WyWallet, will be introduced at the end of this year. More information about this will be distributed at a later time.